Sam and Gavin have been such an absolute pleasure to work with over these last couple of months. Thoughtful, calm and organised - our ideal clients! Sam had a clear idea about what she wanted - a soft palette of shimmer pink and dove gray in a contemporary, timeless design. 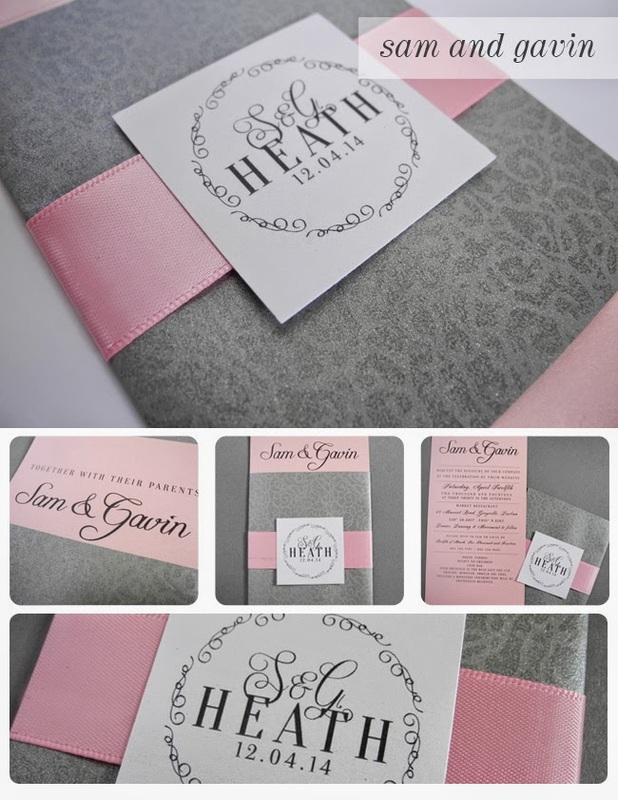 We loved putting together these classic invitations together - we hope you love them, Sam and Gav! This gorgeous couple tied the knot this past weekend (and so did Xanthe and Tim who we featured last Friday) - we wish both these couples all the happiness and love in the world.